Real Estate Fresh Finds is a weekly selection of newly-listed properties in the District, brought to you by Real Living At Home. 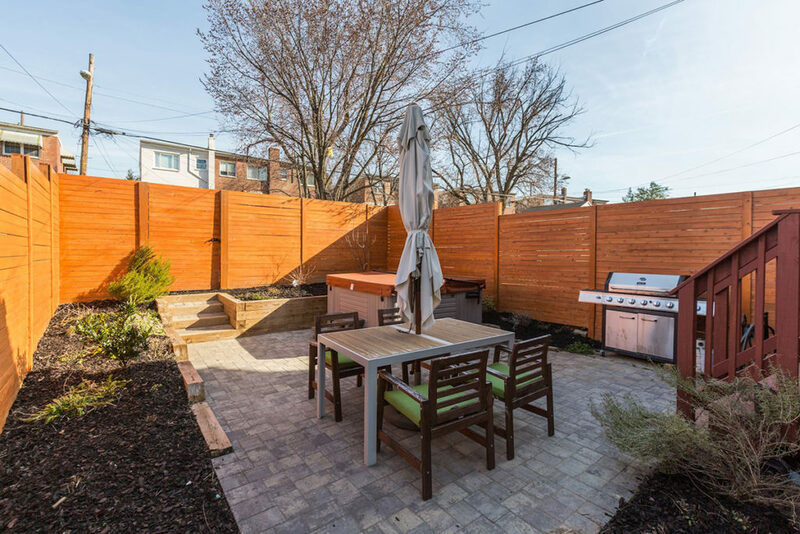 This 3 bedroom, 2.5 bathroom semi-detached townhome in North Michigan Park is an “Architectural Digest inspired home with a custom created outdoor oasis” that includes a privately fenced-in garden, hot tub, shed and dining/grilling space as well as 2 off-street parking spaces. The home has been fully renovated on all 3 levels with “more than $100k worth of owner renovation and improvements” such as hardwood floors, stainless steel appliances, designer lighting and modernized bathrooms. The open floor plan of this show gives it an “effortless flow” across its 1,600+ square feet and is perfectly located equidistant to Brookland and Takoma Park as well as less than a mile walk to the Fort Totten Metro Station. The Most Expensive Home of the Week (& Most Interesting) is a 5 bedroom building in Northwest D.C. listed for just under $6M with a 24k gold sink and Jerusalem marble flooring. It seems to have some weird history as search results indicate search warrants were executed at the home in 2013 for some sort of health care fraud scheme under CareFirst BlueCross BlueShield. Petworth 3 BR with “many details preserved and original hardwood floors (& hardwood walls) have been maintained throughout” is handicap accessible both in the rear parking and the inside staircase. 1 BR/1 BA unit in the new construction building in Southeast has everything you could want in a condo, including an open floor plan with large closets, his & hers vanity and a private balcony with views of the Washington Monument. The Cheapest Home of the Week is a 2 BR/1 BA AS-IS condo gut-job in Anacostia for only $40k.